Talofa Samoa! As we explain in our Health Seminars, the Western animal-based diet (high in fats and animal products) that so many people now consume, is the primary cause of the epidemic of elevated blood pressure (or hypertension) and heart disease that affects millions of people worldwide. The main cause why you develop high blood pressure is that your arteries gradually stiffen and become clogged with deposits of fat and cholesterol (called atherosclerosis), which narrow their diameter, which automatically increasing the pressure inside the arteries. Most people believe the problem with hypertension is that the elevated pressure damages the arteries and the body’s organs. Actually, it is more often the other way around. The rise in blood pressure is the body’s desperate attempt to compensate for the clogging up of the arteries (all around the body) in an effort to keep delivering sufficient oxygen and nutrients to the various parts of the body. In spite of the body’s efforts, over time sustained high blood pressure will lead to heart disease with all its complications like heart attack, stroke and death. High blood pressure is called the ‘silent killer’ because it usually has no symptoms until the body is already damaged. Of all the persons that die from a heart attack, half of them were unaware that there was anything wrong with their heart. Heart attack is now the No. 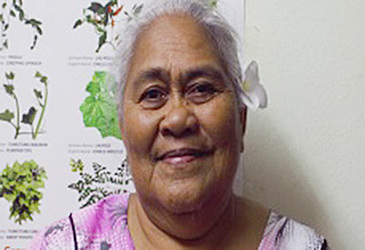 1 killer among Samoan adults, so it is important that you make sure you maintain a normal blood pressure, which ideally should be around 120 over 80 or less. Conventional medicine considers that once established, hypertension is a lifelong condition that must be treated with pharmaceutical (anti-hypertensive) drugs. Unfortunately, taking these drugs gives the patients a false sense of security. First of all, these drugs do not treat the primary cause why you develop hypertension and while they bring down the blood pressure somewhat, they have no effect on the progress of atherosclerosis. Furthermore, often these drugs can cause serious side-effects, especially when patients are given combinations of anti-hypertensive drugs to force the blood pressure down. Feeling of tiredness, lightheadedness and –especially in older patients- loss of balance causing falls are common. But worse complications can occur. As you might have observed when the blood pressure is taken the result is shown with two numbers, say 120/80. The first number is called the ‘systolic pressure’, the pressure in the arteries when the heart contracts (the time when you feel the heart beat); the second number is the ‘diastolic pressure’, which is the pressure in the arteries and the heart cavity in between heart beats, called the diastole. It is important to understand that it is during the period between heart beats that the heart muscle gets its supply of blood. In their efforts to bring down the systolic blood pressure, the drugs also bring down the diastolic pressure. If this pressure becomes too low the heart muscle might not receive enough blood, which might precipitate a heart attack or worse. Indeed, several studies over the past 12 years have proven that excessive reduction in diastolic pressure should be avoided in patients with Coronary Artery Disease (CAD) because of the risk of causing a heart attack. Most people who follow the WFPB diet find that their blood pressure decreases within a few days. Attacking the cause of the problem – the high-fat Western animal-based diet – by switching to the low-fat, plant based diet allows your immune system to start cleaning up the blood vessels, which will reduce the resistance to blood flow. Your blood pressure will then fall naturally. In less than 2 weeks of following the WFPB diet, most people with high blood pressure (150/90 mmHg or greater) will see their blood pressure drop so that the amount of drugs that they are taking can gradually be reduced or stopped altogether. This is important to prevent the risk of lowering the blood pressure too much. Our message to you: if you have high blood pressure, choose the WFPB diet that will bring your blood pressure down in a few weeks, rather than take chemicals for the rest of your life. The choice is yours…. We are happy to present here –in her own words- the testimony of Talaleomalie Togia Pritchard, another one of our ‘champions’, who has reversed her diabetes and rapidly brought down her high blood pressure by strictly following the WFPB diet. After one month on the diet, she was able to discontinue all her drugs, both for diabetes and high blood pressure, while at the same time regaining her vision. I am a woman of 68 years of age, the female mayor in my village Fuailoloo. I developed Diabetes and Hypertension more than 20 years ago. Throughout the time I had these chronic diseases, it was like a burden on my shoulders. If I ate too much, my blood sugar and blood pressure would go up, even when taking these pills, after eating in the morning and evening. Sometime I gave up on taking these pills, because my blood sugar and blood pressure remained high, and I felt weak in my body. My sight was not clear and became worse. Luckily! God never leaves his people alone. This is not the first time that the Health had their Programs in our village, but it all about the ‘Balance Diet’ and prescribing Drugs for chronic diseases. On August this year, I heard that there was another Health Program coming into my village. I attended their session, and this was the first time I heard, that someone said “Diabetes & Hypertension can be reversed.” It was like gospel to me, and I couldn’t wait to join METI’s programme promoting Whole Foods Plant Based Nutrition (what they call the Reversal Diet). I took my blood sugar on that day and it was 23. After two weeks on the diet, my blood sugar dropped below 10; right now it’s between 4 and 6, it’s normal and the same with my blood pressure. I stopped all my medications. I feel my body is lighter now, I don’t feel dizzy anymore, but the biggest change is that I’ve got my eyesight back. I can read without reading glasses now. Thank God for his way of healing through METI’s program. I also want to say thank you very much to my family for their support in cooking delicious foods for me, now that I’m getting rid of these diseases. I say a big faafetai tele (thank you) to Dr Vermeulen and the team for their great work. I encourage you, if you got any kind of chronic disease and you feel sick and tired of taking drugs, go and see METI. Faafetai. If you, reading this Health column or any of your family or friends are suffering from NCD, it might be wise to come to the METI Clinic at Motootua to enroll in our Health Seminars to get all the details of how to start the life-saving WFPB nutrition program. You can reach us at 7625528 or 7239297 during working hours, 8 am to 4 pm, Monday to Friday.